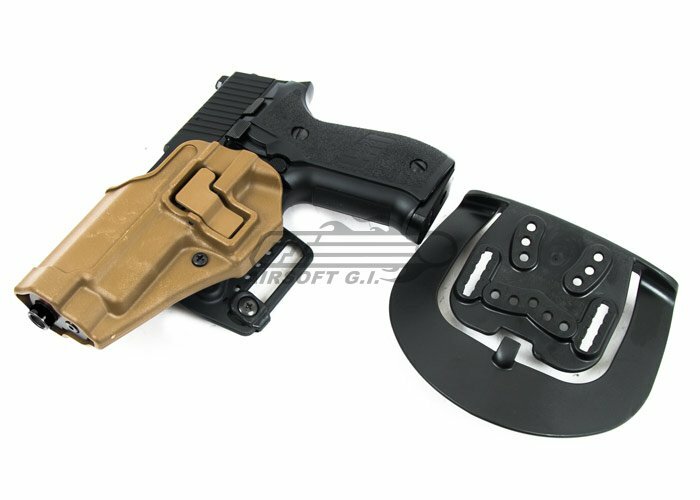 This BLACKHAWK SERPA CQC Holster is designed for the Sig Sauer P220/P226. 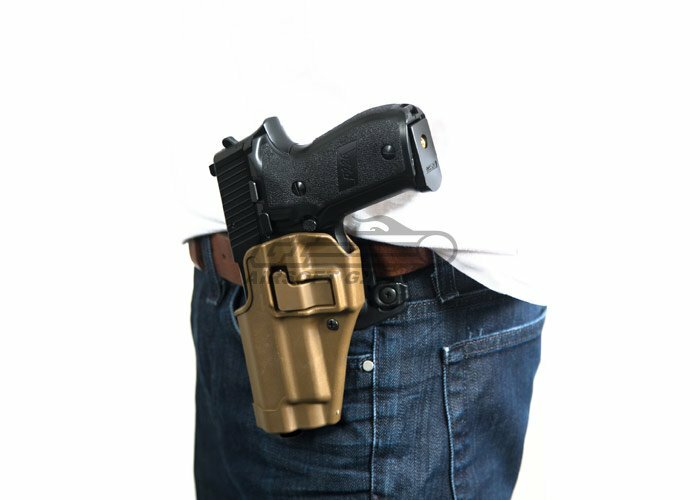 The Blackhawk SERPA holster was created in response to a demand for holsters that could provide both security and speed. The famous SERPA locking mechanism keeps your gun in place but with the touch of a button the gun is ready to be drawn. The SERPA design is completely automatic, as soon as the gun is placed in the holster it's locked into place; there's nothing to snap, rotate, or latch. Another great feature of the SERPA is modularity. This CQC SERPA comes with a belt mount and a paddle mount but the holster can also be removed to fit other mounting systems such as a MOLLE mount or a drop leg mount. No matter what your gun type or what your mission is, there will be a SERPA holster and mount that will fit your needs. Will it fit WE Navy seal P226 with not just a rail but a 1913 picatinny rail? I have a rail system with a red dot on my p226 and a compensator on the end of it, will it fit? The Serpa Holsters were not designed to accommodate add-on's to the pistol. 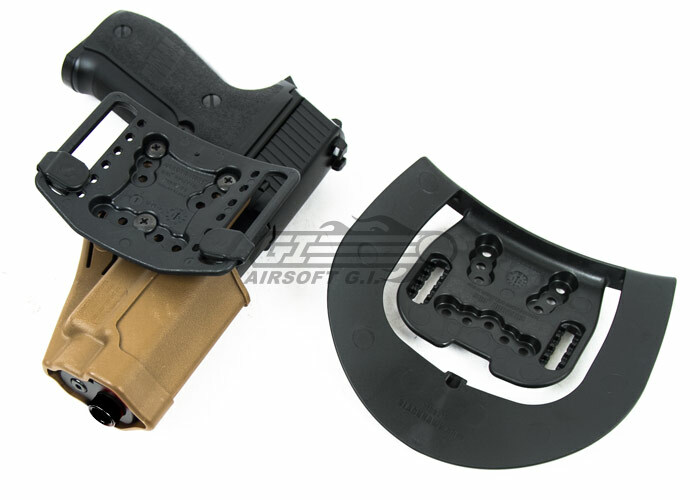 Just wondering if this will fit a WE P226? The WE 226 is slightly off-specced and will not fit in this holster.